Recently we’ve had plenty of rain and wind, even tornadoes, in our area, and last week the sun disappeared altogether. This week the sun is predicted to return, but I’m ready for the return of sunflowers and the warm weather that accompanies them. 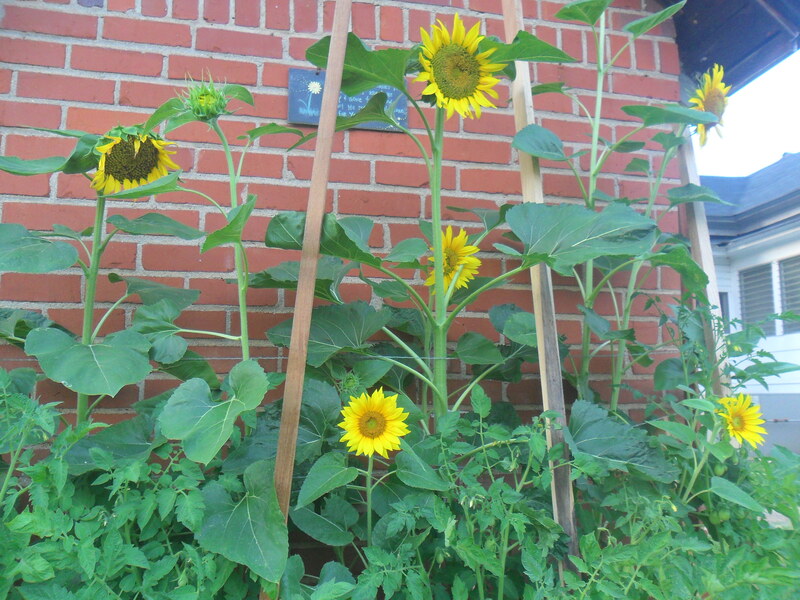 Last year, Natalie and I planted sunflowers for the first time and found them very easy to grow. 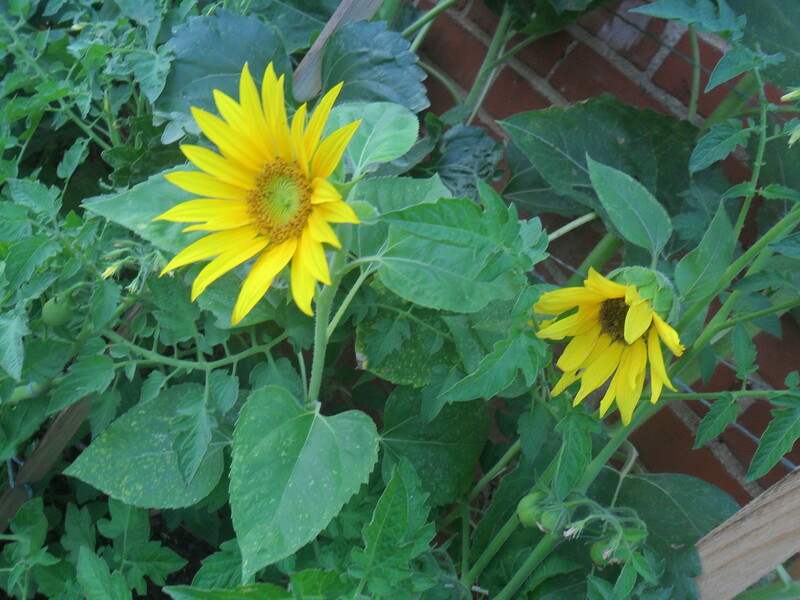 In fact, the sunflower seeds we planted came out of a bird seed mix, and they germinated and grew quickly. Once, I read in some gardening book that you should always plant sunflowers in your field to act as a watering gauge. If the sunflowers start wilting, other crops will soon follow. We planted our sunflowers in a garden box facing south where they received the hottest afternoon sun. Even in the heat, they were slow to wilt and seemed to thrive without much extra water, so I don’t know— maybe sunflowers aren’t the best watering gauges. 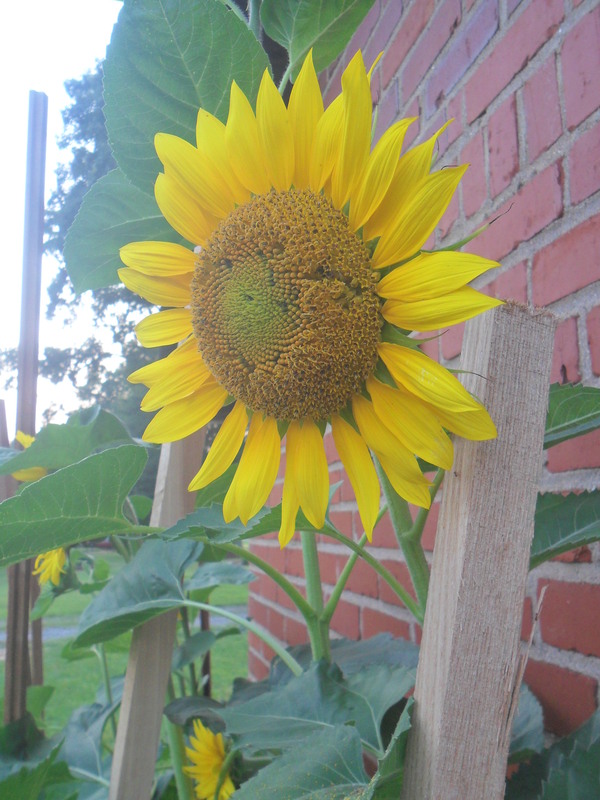 I do know that our sunflowers were a big hit with gold finches and bees. The gold finches would often eat the seeds hanging upside down on the flower head. Although I saw a few honeybees on the sunflowers, they seemed more popular with a small brown and yellow bees. At any one time, fifty of these little bees might be gathering pollen and nectar off of the same sunflower head. Well, even though it’s cold outside, all this sunflower talk has at least got me thinking warm thoughts.